When first built, the Metropolitan Block’s Queen Anne façade was highly adorned and faced with patterned brick, Ohio sandstone, and terra cotta trim. 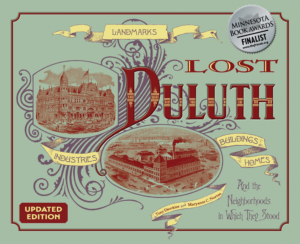 The building still serves Duluth, but its architect, George Wirth, wouldn’t recognize it if he were alive to see it: its façade has been altered repeatedly over the years. Commissioned by Duluthians George Spencer and Melvin Forbes, the Metropolitan was built to house the American Exchange Bank and offices for the newly formed Board of Trade—but it is known best as a dry goods store. 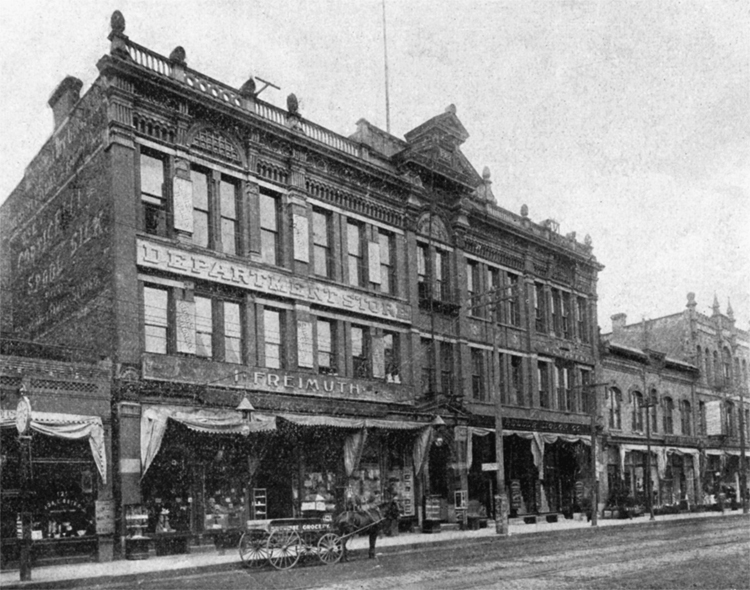 First Metropolitan Dry Goods (1882–1884), then Friemuth’s Dry Goods (1884–1900), the Gray-Tallent Store, George A. Gray & Company, and finally Wahl’s Department Store (1936–1989). In 1911 Gray remodeled the building inside and out, covering the exterior with a more restrained look featuring neo-classical elements. Fifty years later, Wahl’s gave it another new exterior. When Wahl’s closed in 1989, Maurices purchased the building and connected it to its office building next-door, again altering the façade, this time to tie in seamlessly with its neighboring building.